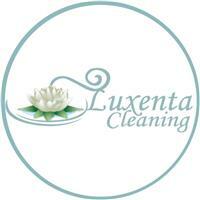 Luxenta's Cleaning main office is based in Battersea, South West London and we cover South West, South and parts of Central London and have many satisfied customers in this area. From our superior customer service to your sparkling clean home. We guarantee: Free cleaning quotation, Flexible cleaning appointments and Initial meeting to discuss your requirements. You benefit from our expertise in Regular Domestic and One Off Deep Cleaning, our competitive prices, special offers and a sense of creating a home cosiness. We keep a very close relationship with all customers and carry out a Quality Control Check to ensure your 100% satisfaction. Our team of cleaners are happy to help out with all household chores and odd jobs. Our loyal clients and their recommendations are a solid prove of our commitment and work ethic.